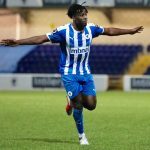 In late November 2018, Akwasi joined the Blues on an initial 28-day loan from Tamworth. The 26-year-old arrived with plenty of pedigree at this level. His 17 goals in 39 appearances spearheaded Solihull Moors to the National League North title under former Blues boss Marcus Bignot back in 2015-2016. This came after a spell at Kidderminster following his release from Birmingham City in 2014. Asante actually made his Birmingham senior debut in a Europa League tie, coming on as a sub as they beat Portuguese side Nacional 3-0. Akwasi, who was born in Amsterdam, continued his scoring feat following promotion with 11 goals in 22 National League games; before he was signed by League Two Club Grimsby for an undisclosed fee. The 26-year-old then joined Tamworth on an 18 month deal in February 2018 following his release from the Mariners that same month. He is renowned for being a quick and strong but also a very clever footballer who has scored lots of goals at this level. 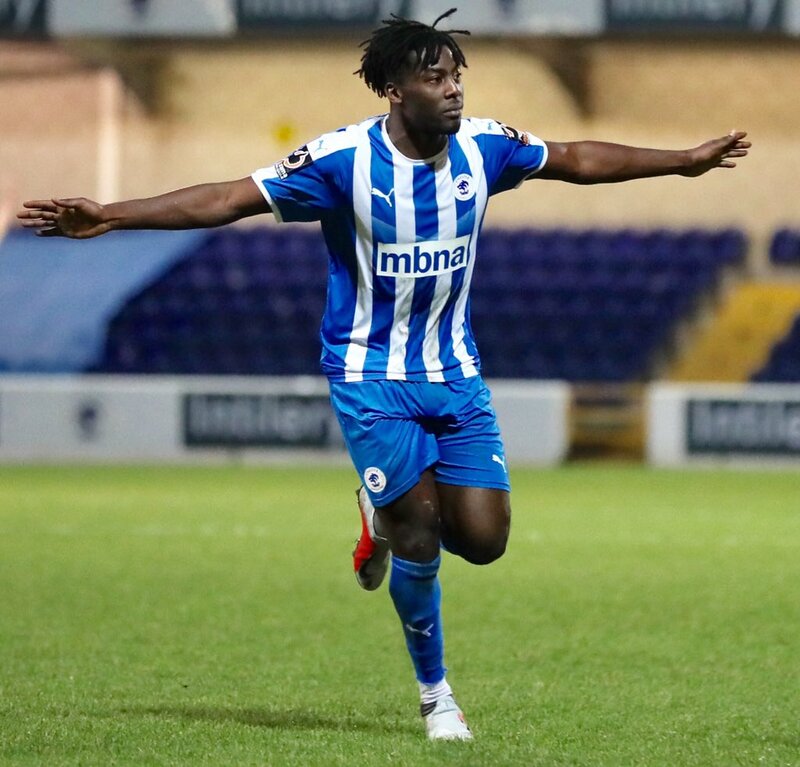 In January 2019, Akwasi made his stay at the Swansway a permanent one – signing an 18 month deal for a club record fee from Tamworth.